If you’re not already following +Mike Allton do it. He is one of the most helpful folks on G+ and always has super, duper info on all social platforms. In his excellent post, he gives you every detail you need to know about the image dimensions, along with screenshots and tips in his post. But finish reading this one first!! G+ is looking for specific tags in the code of your site to trigger the full bleed affect. They are the presence of OG tags (Open Graph) and schema markup to tell the difference between a post and a page. Here are the details on both and what you need to be careful with. Open Graph is a standard that was invented by Facebook. And, they have a plugin for WordPress sites that place these og tags around the title, image, and excerpt, and other important info about your posts and pages. A screenshot from one of my posts is a little further down for reference. The second tag that may or may not be triggering the full bleed effect involves schema markup. At its top-most level, it tells Google whether the content is a Page or Post. Google wants that info these days like crazy for one very good reason. It is tied directly to authorship and publishership and Google wants to credit the content properly to one or the other. The last thing you want to do is have a knee jerk reaction and goof up your site just to get this full bleed feature. What you want to do is check to ensure you have everything set up correctly on your site first. Check your site to see if it is already outputting the necessary code before you run off and grab new plugins or make other coding changes. 1. Go to one of your blog posts and view the source code. Here’s what it will look like, and all of this should be near the top. Find the og tags as shown in the image I referenced above. If they are there, you don’t need to get a plugin. If they are not there, my best recommendation is to use that feature in the WordPress SEO plugin by Yoast. You’ll find a checkbox for it under SEO > Social and then the Facebook tab. It’s at the top. A screenshot is below. 3. Look for article tags. If your theme is outputting the correct schema markup, you should see article tags, like the ones in the screenshot above. If your theme is outputting them, you don’t need to do anything. If your theme is not outputting them, then you will need to have your theme converted to be HTML5 compliant. WordPress 3.6 began support for HTML5. Genesis 2.0 also supports HTML5. But just because you are using both of those does not mean that your theme supports it! The theme has to be compliant too. If you have not converted your theme, then you are missing out on one of the most important SEO features that Google now eats up like candy. And it affects your authorship and publishership too. Read my Microdata and Genesis Series for the full scoop on why this is so important for you to do. I converted my theme the minute it became available and have been reaping the rewards since. It will put your SEO light years ahead of all the sites not doing it. FYI, you may also see an article:author tag with a link to Facebook. That’s okay. If you have both authorship and publishership setup correctly on your site, then you should see both the author and publisher tags on posts. On pages, you should only see the publisher tag. If you see the author tag on pages, you need to correct that immediately! Google is actively issuing penalties for this being setup incorrectly. 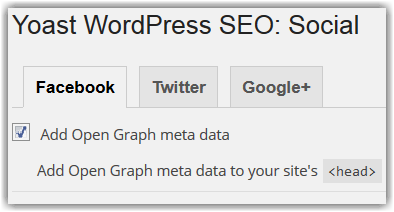 The WordPress SEO plugin by Yoast is also my best recommendation for setting this up correctly. To do that, go to SEO > Social and then the Google+ tab. See the screenshot below. Check the box to assign authorship to only posts. FYI, in the field below that, you can input your G+ business page URL, NOT your personal profile! You put that into your WordPress User profile. Tests are still being run to see if this new G+ trigger is only for posts and not for pages. If that ends up being the case, then get with that program. DO NOT try to trick Google into thinking a page is post by modifying the schema markup. Keep in mind that your author and publisher tags have to be in agreement with that. Google can, and likely will, pop you with a penalty for such trickery. 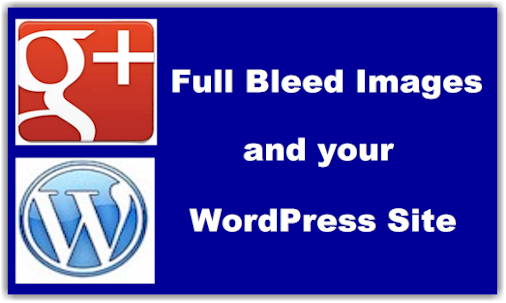 I mean really, how important is a full bleed image on G+ compared to the proper indexing and ranking of your site? Get over it and let this feature go for pages. It’s likely you’ll be using it more for blog posts anyway. So, be happy with that perk and let it be.